Piaggio Vespa, one of the iconic scooters in automobiles history is once again ready to pull the people towards it with its refined model. Popular thorough its stunning and simple looks, the vehicle comes with latest technology to meet the growing demand and to compete with other motorcycles. The attractive appearance of the scooters effortless curves and bends, unique shades and chrome finishing to most of the naked parts enhances the elegancy. Being the economic scooter, it is ready to win the hearts of many. Vespa LX 125 is equipped with 125 cc, 4 stroke, 3 valve, air cooled, single cylinder engine which comes with some of the advanced technologies such as Variable Spark Time management and Manifold Absolute sensing which assure better performance. The maximum power generated is 10.06 Bhp at 7500 rpm and the highest torque achieved is 10.6 Nm at 6000 rpm. The power so produced reaches the wheels through its efficient CVT transmission. The pretty looks of the vehicle makes it noticeable in any crowd. 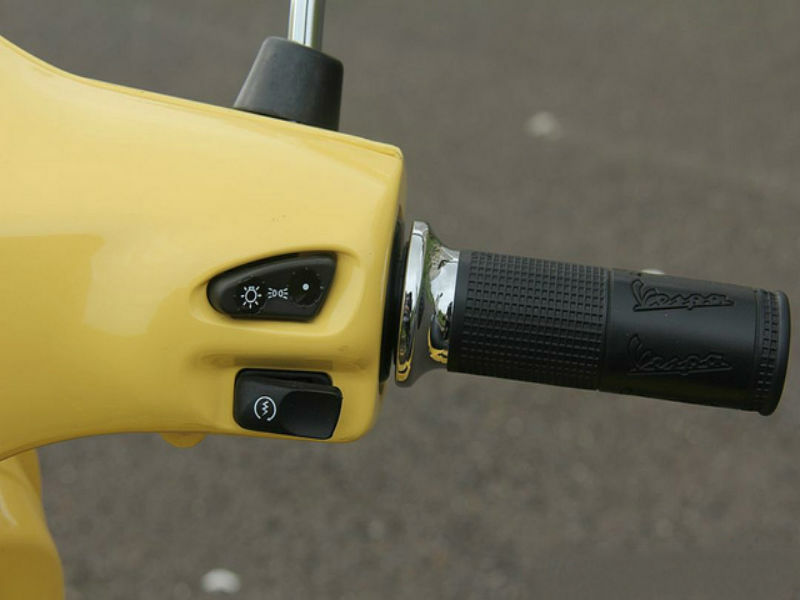 The trendy and attractive front portion of the scooter including the round headlamp, chrome finished handle bars and the signature logo of Vespa adds a class. Sophisticated appeal of the motorcycle is enhanced to a great extent with its fine curves and several touches of chrome in various parts. Although the vehicle looks traditional with its design, it is all set up to attract its customers with new features beautifully imbibed in it. 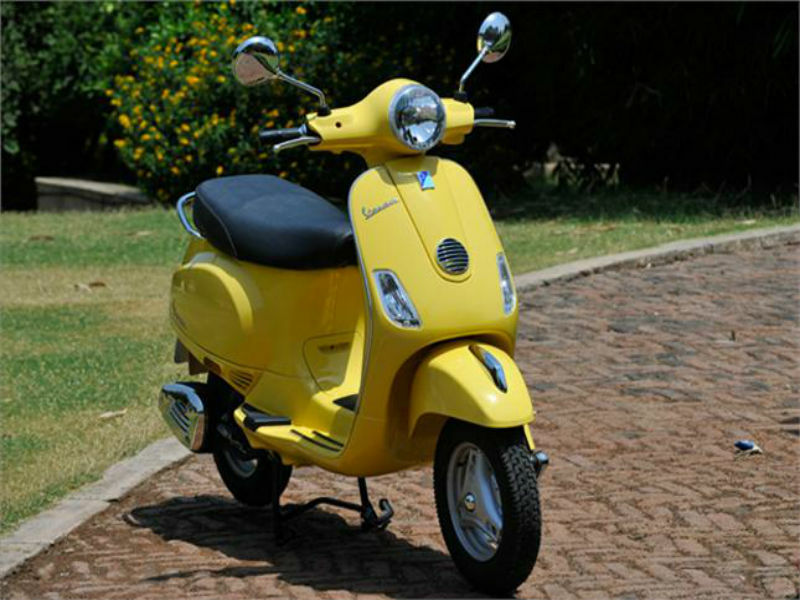 Riding a Vespa LX125 is all new experience and the main reason behind it is its competent technology. Vespa comes with good brakes for effective braking. The front wheel consists of 150 mm drum brake and rear is provided with 140 mm drum brakes for quick and better handling of vehicle. Further the suspension of the vehicle including the front Arm with coil spring, dual effect shock absorber and rear coil spring and dual effect shock absorber offers jerk free ride. 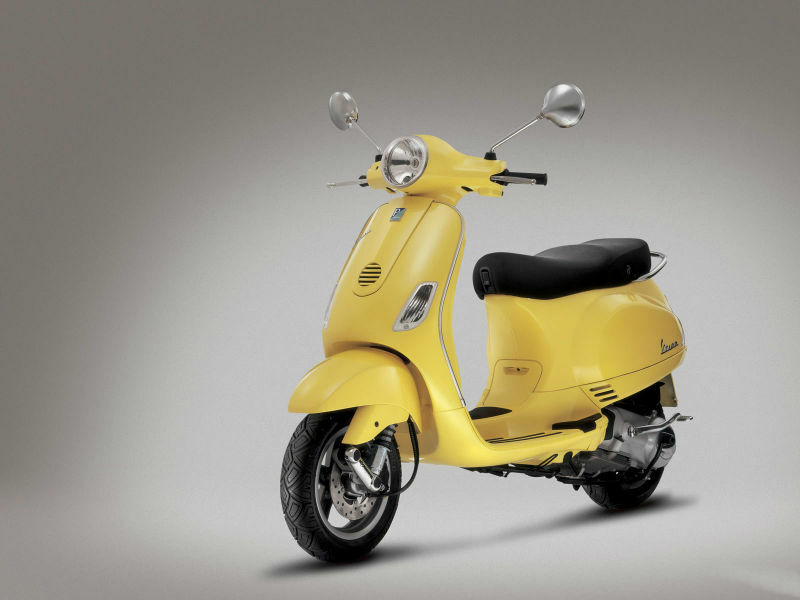 Piaggio Vespa is a fuel efficient motorcycle which gives the mileage of about 60 kmpl. The scooter is available in various shades namely Monte Bianco (White), Nero Volcano (Black), Giallo Lime (Yellow), Rosso Dragon (Red), Midnight Blue and Rosso Chainto (Dark Maroon). The ex-showroom cost of this attractive vehicle is about Rs. 68,200.